It's the last day of 2015! The last two weeks have gone by in a blur. My parents came to visit for Christmas, then we went out of town with more family for a post-Christmas trip to Michigan. For those who were curious, my kids loved their Maker's Totes. I love the holidays, but I am always ready for the calm that January brings. I thought it would be fun to do a little 2015 wrap up, and then look forward to 2016. 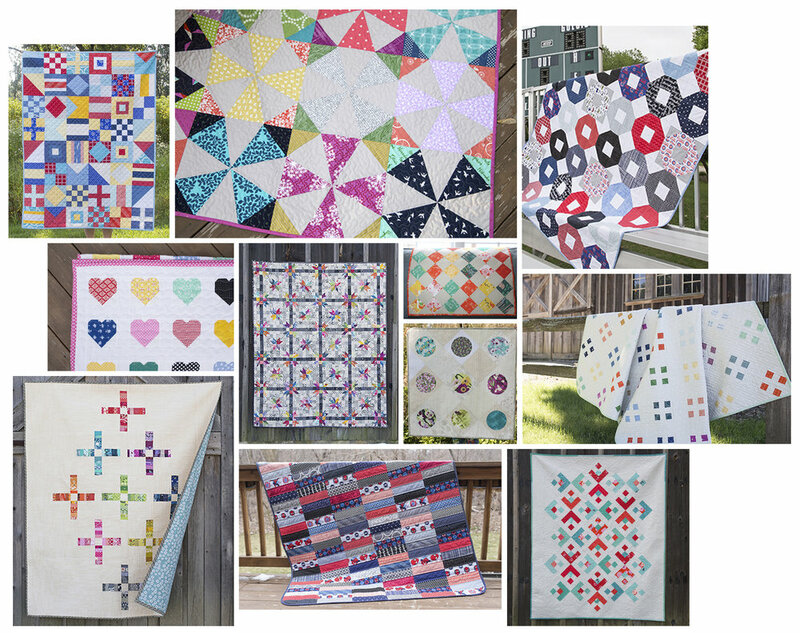 I made 11 quilts in 2015. Five were gifts: Hanna Hearts, Spidey, Scrappy Kaleidoscope, Home Run, and Nautical. Two were quilt alongs: Scrap Plus and Snowflake. Two were for new patterns in my shop: Poinsettia and Four Square. I also sewed quite a few bags in 2015. All but one of these comes from a pattern by Noodlehead...I guess you can say I'm a fan! Besides the Scrap Plus and Snowflake quilt alongs, I also created a few additional tutorials for all of you: Star Bunting, Posy Strip Pillow, and the Fresh Spool Series. 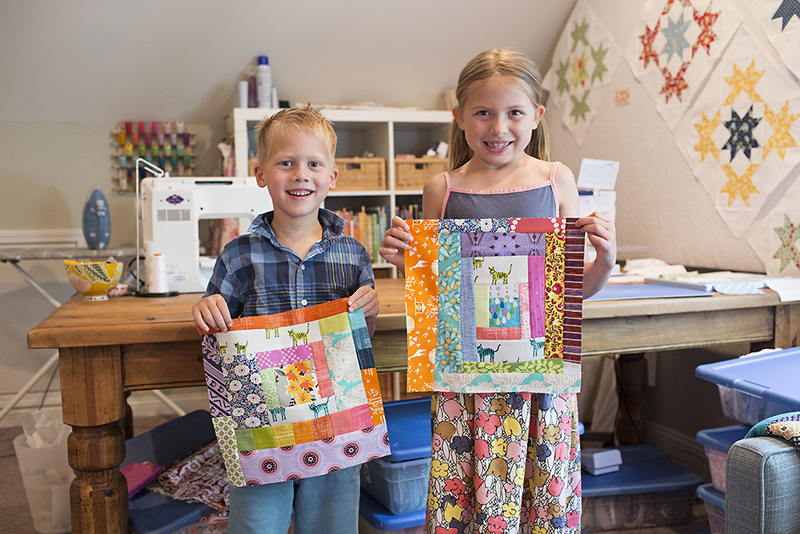 My kids started their very first quilting bee ~ Not Your Mama's Bee. It's been a fun experience creating with them every month! I continued to enjoy the honor of being a BERNINA Ambassador, and contributing a bit on the We All Sew blog. A vintage friend also joined my family - my "new-to-me" Singer Featherweight. Of course, as always, I had much bigger plans in my head for the year. But I am happy with what I accomplished. For next year, I hope to share more quilts, more patterns, more quilt alongs, more tutorials...simply put, more bright, fresh inspiration! I hope you will continue to follow along. You can always sign up for email notifications so you don't miss a post. I want to thank all of you for visiting this year. This blog of mine had over 2.6 million pages loaded in 2015! I am continually humbled by your support and kind words as I share my quilting journey. Here's to a great 2016!